* Add $25 per player if they're not a BVA Member. The Skills & Drills program is open to players of all ability levels, ages 10 - 17. Here you'll master the volleyball fundamentals, develop proper mechanics, and gain valuable game play experience. There's only one way to get better, and that's practice. Not only practice, but coached practice, to help you develop all of your team and individual skills. WHAT WILL WE BE DOING IN THE SKILLS & DRILLS PROGRAM? The Youth S&D program will consist of drills and scrimmaging designed to improve your passing, setting, hitting, blocking and digging skills. The first half of each night will be drills, the second half will be a coached scrimmage. 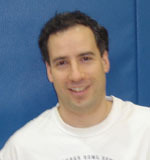 Bruno Tramontozzi has been director of Boston Volleyball’s Club teams and Skills Programs since 1999. He has coached boys U16 Junior Olympic Regional Championship team, the Salem State University Womens Varsity team, the Harvard Womens Club Team, as well as men’s Bay State Games medal teams. He was captain of the Boston Volleyball Men’s B National team that won the Gold Medal in Austin Texas 2007, and played on the Men’s AVP Pro Beach Tour 2007. Since 2006 Coach Tramontozzi has been the BVA Youth Program head coach which trains some of the Boston area’s top players in their age group. fill in the information below and click "Submit this Information"
Boston Volleyball has developed a full season training program that is designed for players who are interested in improving their game without the pressures of being on a club team. Practice with us on a weekly basis with other players at YOUR level. There's only one way to get better, and that's practice. Not only practice, but coached practice, to help you develop all of your team and individual skills. The S&D program will consist of drills and team play designed to improve your passing, setting, hitting, blocking and digging skills. We also take practice to the next level and teach team strategy, court positioning, and different attacking plays. WHO SHOULD JOIN US IN THE SKILLS & DRILLS PROGRAM? Players of any level that is interested in improving their skills are invited to come join us. Both Men and Women are welcome! If you're interested in becoming a better all around player, in a fun and comfortable setting, come check us out! DURATION: We run our Skills & Drills program the entire indoor season in blocks. This player has little or no experience with playing organized volleyball. He/she is still working primarily on getting the ball into play and needs on-court experience. This player has obvious weaknesses in controlling the ball but is familiar with basic fundamentals of passing, setting, hitting, blocking and serving. More advanced beginner players are quickly learning to judge where the ball is going although court coverage is weak. This player may also sustain a short rally of slow pace with other players of the same ability. This player has achieved improved ball control, dependability with directional control on moderate shots, but still lacks depth and variety. This player exhibits more aggressive net play, has improved court coverage, and is developing defensive strategy. This player has begun to master the use of power and shots and is beginning to handle pace, has sound footwork, can control depth of shots, and is beginning to vary game plan according to opponents. WHAT WILL WE BE DOING IN THE LESSONS? Private lessons offer the player a one-on-one coaching experience with immediate and personalized feedback to help your improve your game as quickly and accurately as possible. The drills are designed to improve your passing, setting, hitting, blocking and digging skills. WHO SIGNS UP FOR THESE LESSONS? We have everyone from complete beginners who are brand new to the game, to upper advanced players who want to work on a specific aspects of their game, or work on a particular skill. Youth, Adults, people of all ages are welcome and encouraged to participate. If you're interested in joining one of our programs, or simply would like to know more about it, please fill out the form below, and we'll get right back to you. Boston Volleyball is dedicated to developing skilled, competitive volleyball players with an advanced knowledge and a real love of the game. The focus is not only on the player's current level of skill and talent, but more importantly on development of the player to their highest potential. To realize these goals, we offer superior coaching, high level competition, and a supportive club environment. Coach G. Nicholas Bryant has been coaching since 2010. Getting his start coaching for Southern Alliance club 14's girls and Coach for MASSPIKE volleyball camp. He has also been coaching Skills and Drills for 4 years. He is the current Coach for Chapel Hill-Chauncey Hall varsity girls and Algonquin regional high school varsity boys. Coach Nick professes a passion for coaching and believes that the key to being a successful coach is inspiring a love of the game, making learning an enjoyable experience, and focusing on mindful reps in a game-like environment to achieve skill mastery.